At the March 5 chapter meeting, we elected new officers. The term for the new officers and executive committee begins on April 1, 2019. We welcome the following folks to the executive committee as representatives of UFF. We welcome the following people newly elected to the committee. We are pleased that some folks have opted to stay on the committee. 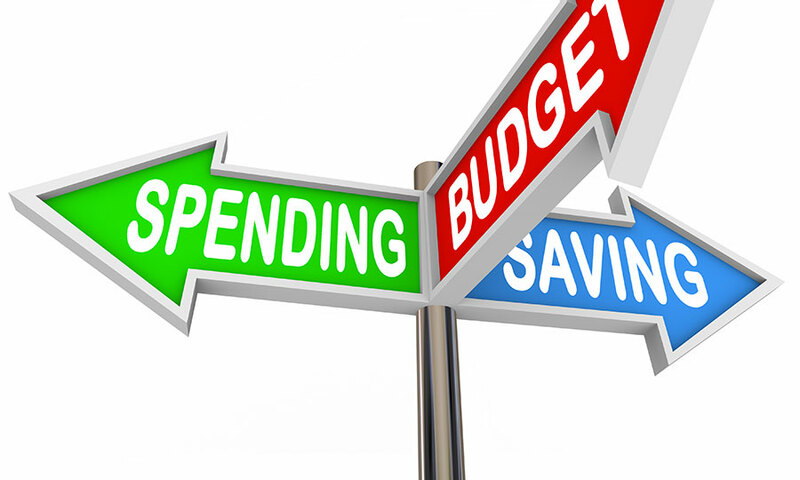 Senate and House Appropriations Committees have passed out their respective budgets, inclusive of higher education budget proposals for 2019-20. Which is best? The Senate. Which is adequate? Neither. Please send your representative and senator the message that higher education budgets are not adequate. Tell representatives not to punish faculty for administrative misconduct. You might want to thank senators for a good starting point, but their funding levels should grow to support students and faculty. The 2019-20 House budget proposal for colleges is basically flat with no real increase in funding and continues the performance funding of $60 million, half of which is state investment and the other half being the institutional investment. The total of the House proposed Program Fund is approximately $1.2 billion. Note: College funding is exclusive of tuition and fees. The 2019-20 Senate budget proposal for colleges increase operating funds in two categories. First, there is a $15.5 million increase in “Compression” funds for colleges funded below the statewide average. Second, there is a $22.5 million increase in operating funds to all colleges. 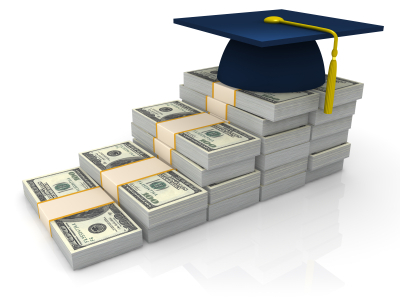 In the Senate proposal, performance funds are being replaced by Student Success incentives. $28 million is allocated to a 2+2 Student Success Incentive and $12 million to a Work Florida Incentive Fund. The total increase in operating funds in the Senate proposal is approximately 3.6%. The Senate spends $285.3 million more for universities than the House in a total budget of about $6 billion. The House cuts university Education and General (E&G) operating budgets by over $100 million or a 2.5% reduction of their base operating budgets. The reduction is a direct result of two concerns raised by the House Higher Education Appropriations subcommittee and its chairman, Representative Randy Fine (R-Palm Bay). First, it is a response to the misuse of operating funds at UCF for construction. Second, it is due to the large reserve accounts of most universities. This has been a constant rebuke of universities brought by Chairman Fine in appropriations meetings leading up to the budget proposal. The House proposal also includes a $20 million reduction in preeminence funding which is a 13% cut to those universities. The 2019-20 Senate budget proposal for universities shows an approximate increase of 1.03% over 2018-19. This include tuition funded at the same level as this year, a total of $1.8 billion. The most significant action was the passage of CS/HB 839 from the House Higher Education Appropriations Subcommittee on March 26. The bill will go to the House Education Committee next, possibly this week. Watch for UFF legislative alerts! HB 839 has the primary focus on improving the university performance funding model and, while not perfect, on that concern it does improve upon and offers further study of performance funding at both the college and university level. But the bill also inserts a divisive survey of faculty, students and administrators to report on the intellectual freedom and viewpoint diversity at each university. UFF opposes that provision as voted upon unanimously at our UFF Senate meeting in February. Move that: Be it resolved that we, the members of the UFF, strongly oppose any attempt by the State of Florida to require the implementation of any survey intended to measure or evaluate the intellectual freedom and viewpoint diversity at institutions of higher learning. UFF has always supported the open and honest exchange of ideas, perspectives and claims of truth both inside and outside of the classroom. This process cannot be measured or characterized by a survey which by its nature would be purely subjective. Such an attempt would be open to political manipulation and could have a chilling effect on intellectual and academic freedom. SB 1296 is scheduled for hearing Tuesday, April 2 from 10 to noon, in the Senate Education Committee. This is the companion to HB 839. Contact the committee members and ask them to support Senator Berman’s amendment to remove the survey from SB 1296. That amendment, barcode 171926, will delete lines containing the survey language. Also, watch for an alert should HB 839 be placed on the agenda of the House Education Committee this week. The 2019-20 House budget proposal for universities cuts university budgets by $135 million or about 2.5% of their base operating budgets. The issue seems to be twofold. First, it is a response to the misuse of operating funds at UCF for construction. Second, it is due to the large reserve accounts of most universities. This has been a constant rebuke of universities brought by Chairman Fine in meetings prior to this week. The House proposal also as part of the total cut reduces funds for preeminent and emerging preeminence funding, funds for the world class faculty and scholar program and the professional and graduate degree excellence program, both created last year. It appears that performance funding continues at the 2018-19 level. The single area of significant increase is preeminent and emerging preeminence funding which is proposed to be $80 million in 2019-20. There were no actions taken this week on bills we have reported about, principally HB 13 which would restrict all union leave in our contracts and HB 839 a bill that would establish a survey of faculty and students’ diversity viewpoints (and political) at each university. The bill has issues important to UFF regarding performance funding, but the survey provision is a slap at faculty and intrusive to your rights. I did testify before the Senate Education Appropriations Committee making an appeal for graduate fee waivers to limit, if not stop, pay for work. I also appealed to that committee to not punish faculty for administrative misuse of operating funds. The faculty union has already been punished due to that reckless mismanagement. #FundOurFutureFL is having an impact at least in the Senate. The Senate K-12 budget proposal increased the K-12 funding formula by $1.1 billion. These funds impact our K-12 Lab School members at FSU, FAMU, UF, and FAU! UFF is tentatively looking at Wednesday April 10, 2019 as a Higher Education Day of Action at each campus. More information will be forthcoming. Please continue encouraging faculty to wear Red for Ed on Wednesdays during the Legislative Session! As you may recall, the UFF Senate voted unanimously for the following resolution at its meeting in February. CS/HB 839 has the primary focus on improving the university performance funding model and, while not perfect, on that concern it goes a long way to the issue UFF has supported over the last few years. That is a model fairer to all universities and not just preeminent ones that provides recurring funds and has no automatic punitive component. Why then insert a divisive survey in the bill to evaluate, in our opinion, divisiveness? According to Rep. Ray Rodrigues (R-Ft. Myers), other states have done this. We ask which states and what were the results? The measure passed the committee by a straight party-line vote of 11-5 vote which was divisive. Thanks to Democrats Ramon Alexander (Tallahassee), Joe Casello (Boynton Beach), Joy Goff-Marcil (Maitland), Michael Grieco (North Bay Village), and Carlos Smith (Winter Park) for their support! Also, thanks to Matthew Lata, FSU Chapter President and UFF Government Relations Chair for his testimony! On March 4th, the day before session began, FEA and UFF members were involved in many events statewide to support the FEA campaign #FundOurFutureFL. One example was members from the Leon Classroom Teachers Association and all five Tallahassee UFF chapters rallying and waving signs in front of the Old Capitol building. They were joined by FEA President Fed Ingram, FEA VP Andrew Spar, and Leon Superintendent Rocky Hanna. Later Monday, forty UFF leaders from Broward College, UF GAU, FSU, FSU GAU, FAMU, FAMU GAU, and TCC had lunch with AFT President Randi Weingarten. Prior to Weingarten’s challenging remarks to rally for Fund Our Future, all seven chapter leaders had the opportunity to tell President Weingarten of the successes and challenges of their chapter. The House Oversight, Transparency & Public Management Subcommittee considered and voted out (approved) HB 13 on Tuesday. Sponsored by Rep. Jayer Williamson (R-Pace), HB 13 is a continuation of attacks against Florida workers who currently enjoy all rights protected under the state Constitution’s collective bargaining provisions. FEA members, police, firefighters and state workers will all be affected by this bill, which would prohibit public sector collective bargaining agreements from including any provisions to allow union release time. Thus, local union presidents and other release-time members would be prohibited from receiving paid time for union activities during normal work hours. The measure passed the committee by 9-5 vote, but not without vigorous opposition from some members. Rep. Javier Fernandez (D-Coral Gables) offered an amendment to retain member employees’ rights to continue union activities without interference. As we expected, the amendment failed. We thank Rep. Anna Eskamani (D-Orlando) and especially Rep. Rene Plasencia (R-Titusville), who spoke passionately in opposition to the bill. Rep. Eskamani recapped just a few of the rights we enjoy because of unions. Rep. Plasencia shared that he was the lone member of the teachers’ union who served as his school site union representative. He also reminded the committee that he has watched his party attack teachers and personal friends who are firefighters over the past several legislative sessions. He said that this time around he would do more than vote no and told the committee why he strongly opposed the measure. UFF President Karen Morian provided testimony to the committee as to why this bill abridges a union’s right to collectively bargain and is unconstitutional. This session we will again be working closely with the AFL-CIO Working Families Lobby Corps to lobby legislators in Tallahassee on pro-public education issues and against anti-union legislation. If you haven’t already, be sure to let us know via the AFL-CIO Working Families Lobby Corps “I’m coming” when to expect you, and book your hotels ASAP. Joining the AFL-CIO Lobby Corps this week were Bobby Mermer and Andrea Medina from UF GAU Chapter and Anissa Harris and James Norton from Broward College. On Mondays and Thursdays during session, UFF is sponsoring the Capital Report on Mondays and Thursdays at 6:30 P.M. to 7:00 P.M. The program originates from WFSU and is carried on many NPR stations. The program also streams live, and archives can be found at this link: https://news.wfsu.org/programs/capital-report. The sponsorship is announced before and at the end of the program. The program is repeated at 9:30 P.M. Listening to the Capital Report is an excellent way to monitor the events of the day in the Florida Legislature. The challenge laid out to the Legislature by Governor DeSantis at the State of the State address was “Be Bold!” But the start of this session seemed to be a replay of the past sessions. Boldness is perceived to be attacking teachers and faculty rights and offering vouchers and bonuses instead of real funding for schools, colleges, and universities. Being BOLD is Rep. Plasencia, Rep. Eskamani, and Rep. Fernendez who informed the committee members, but their straight talk was ignored by the committee members who were directed to vote YES on HB 13 without considering the facts or the constitutionality of the proposed bill. This report presents an analysis of the trends in Florida International University (FIU) expenditures on faculty and administration personnel for the academic years 2013-14 through 2016-17. Particular attention is given to the changes in the number, composition, and salaries of faculty and administrators at FIU in the context of increasing university expenditures and rising student enrollment, and changes in tuition revenue during the academic years 2013-14 through 2016-17. Data show that FIU personnel decisions have contributed towards administrative bloat between 2013-14 and 2016-17, expanding the resources devoted to administration at the expense of instruction, research, and service. During this period, administrative personnel hires and and total personnel expenditures have outpaced those of faculty. Furthermore, faculty’s share of personnel expenditures has declined as the share of administration personnel expenditures has increased. Previous reports were produced in 2004, 2007, 2009, 2011, and 2014. This report extends the analysis of FIU’s expenditures through the 2016-17 academic year and supports prior findings of administrative bloat at FIU. BOULDER, Colo. - ONCE upon a time in America, baby boomers paid for college with the money they made from their summer jobs. Then, over the course of the next few decades, public funding for higher education was slashed. These radical cuts forced universities to raise tuition year after year, which in turn forced the millennial generation to take on crushing educational debt loads, and everyone lived unhappily ever after. 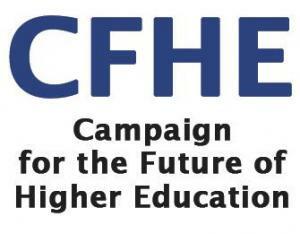 The Campaign for the Future of Higher Education is organized around SEVEN CORE PRINCIPLES that must define quality higher education for the 21st century. The mission of the campaign is to ENSURE THAT AFFORDABLE QUALITY HIGHER EDUCATION is accessible to all sectors of our society in the coming decades. This is a time of great change in higher education. In the past few years, UFF saved dozens of tenured and non-tenured faculty jobs by challenging "arbitrary and capricious" layoffs and non-renewals through arbitration. "[The arbitration wins are] confirmation of the power a union contract has to preserve faculty job security... Even in those states that regard tenure itself as the equivalent of a contractual agreement, a legally enforceable union contract is still much more secure." At its September 2008 Senate meeting, the statewide United Faculty of Florida (UFF) revised its grievance representation policy in response to liability and legal concerns. Effective immediately, UFF will not provide grievance representation to faculty who were not dues-paying UFF members at the time when the grievable incident occurred. All faculty have the right to file an individual grievance, but those who were not UFF members when the incident occurred must represent themselves or retain an attorney. UFF retains the sole and exclusive right to invoke arbitration; non-members will not automatically have the right to pursue a remedy beyond the grievance process. If UFF agrees to allow a non-member to proceed to arbitration, the non-member will be responsible for the cost of the arbitration - $2000 to $4000 - and must provide his or her own attorney, the cost of which can exceed $20,000. 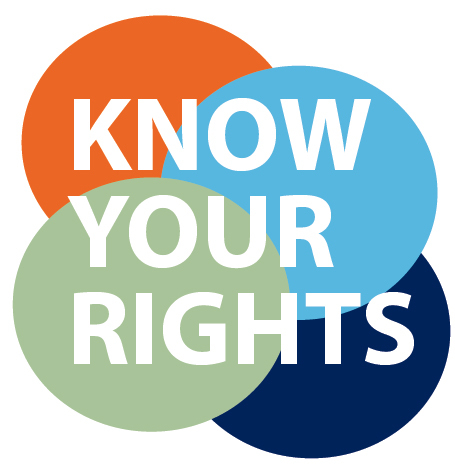 If a non-member informs the chapter of an incident, UFF may file a grievance on behalf of the chapter if it is believed to have chapter-wide impact on the enforcement of the collective bargaining agreement; however, that is at the discretion of the chapter.